A dynamic and jazz-infused drama about what’s at stake when building a better future. In Detroit’s Black Bottom neighborhood in 1949, a gifted trumpeter and troubled owner of the Paradise jazz nightclub is contemplating a buyout offer for the city’s urban renewal plan. 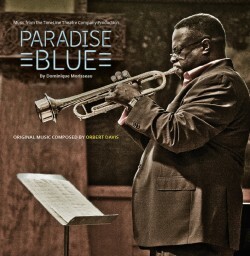 Orbert Davis' original soundtrack of the music he composed exclusively for Paradise Blue is on sale!